Know when to discard your makeup. 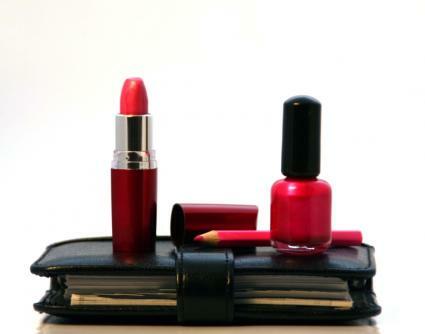 Makeup schedules can help keep you organized and looking your best. Makeup schedules can be composed of varying lists of goals throughout the year ranging from changing your look to sorting through those old cosmetics you don't use anymore. They can help you to stay on top of things when your life gets chaotic, and also works as an inspiration to try out a new trend. Use makeup schedules to amp up your beauty routine and to look and feel gorgeous year round. Out of all the makeup schedules you can create for yourself, knowing when to trash expired cosmetics is the most important. Using ancient mascara or a back drawer foundation can cause skin problems and infections that are anything but attractive. While the FDA has not given specific rules as to when to toss certain types of makeup, there are some well-known guidelines worth following. For powder, concealer, or any other cosmetic neutral in color and water-free, you can hold onto them for a couple of years. However, after two to three years it is a good idea to purchase replacements. Makeup pencils take the prize for longevity, able to be used for several years. However, if you wet the tip with water frequently, you are compromising the life expectancy of this cosmetic and it should be replaced after several months. Keep these sharpened to freshen them up and reduce your risk of transmitting germs and bacteria to your eyes and mouth. The most time-sensitive of beauty products is definitely mascara. Since this comes in such close contact with your eyes, you should purchase a new tube at least every three months. The shape of the container and the ingredients inside create the perfect host for bacteria. With every season, consider trying a new style of mascara so you remember to keep your eyes safe and out of harm's way. Lastly, remember that multiple-use products such as combination rouge and shadows will transmit germs from your lips to your eyes. It is important to wipe off the applicator after each use and to replace these at least twice a year. Another popular form of makeup schedules is a seasonal beauty adjustment. Some women make the unfortunate mistake of wearing their dark eyeliner or iridescent lip-gloss year round even though the beauty industry provides us with so many fun seasonal finds. Make a makeup schedule based upon the calendar months and commit to changing your look with each rotation. Spring is a great time to try shimmered shadows and glittery lotions. Autumn is an ideal season to warm it up with darker shades and smoky eyes. No stylish individual is pigeonholed with the reputation of always wearing the same style of makeup. Take advantage of the calendar changes to roll out a new look and try something different. The importance of makeup schedules is also found in giving your skin a chance to breathe and take a vacation from the cosmetics aisle. Do you really need to daily cake on every beauty product you own? Consider instead scheduling "makeup free" days where you can give your face a chance to recover from all that pore clogging. Whether it's a lazy weekend or a day off from the office, try to schedule in some time to go au natural. Your skin will thank you and you will maintain a natural glow and find yourself blemish free. Makeup schedules can keep you both beautiful and safe. How many times have you been guilty of applying your eye makeup in the rear view mirror during your morning commute? With our busy lives it is no wonder we often use our cars as a replacement vanity. Unfortunately this is considered reckless driving and can land you in an accident or earn you a citation from the highway patrol. Instead, encourage yourself to go to bed 10-15 minutes earlier so you can awaken and have ample time to apply your cosmetics the correct way - at home with no traffic or stoplights. As adults it can be hard to abide by a strict bedtime, however you will achieve much less sloppy makeup applications and practical safety at the same time. Makeup schedules are a great way to take back control of your life and to ensure you are doing everything to stay fresh faced and pretty on occasions where it counts the most.